What roll does a financial advisor need to play in family finances? It is a very personal decision when someone elects to work with someone who can advise them on financial matters. It can be difficult determining that it is time to let someone else help with family finances. For those who have come to the conclusion that they are not well prepared for this task of handling them on their own, the question becomes, “what is the roll of a Financial Advisor”. Following on the heels of that question is, “how to choose the best advisor for my situation”. Those who have never used the services of a Financial Advisor before should first understand what they can expect when they do. Of course, this is all determined on an individual basis according to the particular needs and desires of the client. Here are a couple of scenarios that can help give a better look at what a Financial Planner does. Let’s say that a married couple with a stable source of income would like to plan for the higher education of their children while at the same time caring for aging parents. At the same time, they would like to be able to live well now meeting all the necessities of life, have some nice things and take the occasional vacation. 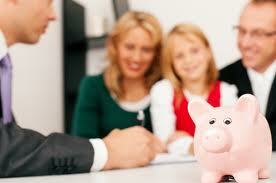 Through the assistance of a good Financial Advisor family finances can be arranged to accommodate all of this. The next scenario we will address deals with a client that is approaching the age of 40. This individual earns a nice salary and would like to be able to arrange her financial life in a manner in which will allow her to save a million dollars by the time she reaches 60. She has determined that with this amount she will be able to live comfortably during retirement. Her Financial Advisor will help her reach her monthly savings targets. Financial Advisors help clients learn about investment strategies, various investment vehicles, setting specific goals and sticking with a financial plan. Financial planning is not just for the wealthy. Issues surrounding personal finance are often complicated, and with the help of financial planners, even family finances for the middle class are made easier. Why should you use a financial advisor? Be the first to comment on "What roll does a financial advisor need to play in family finances?"